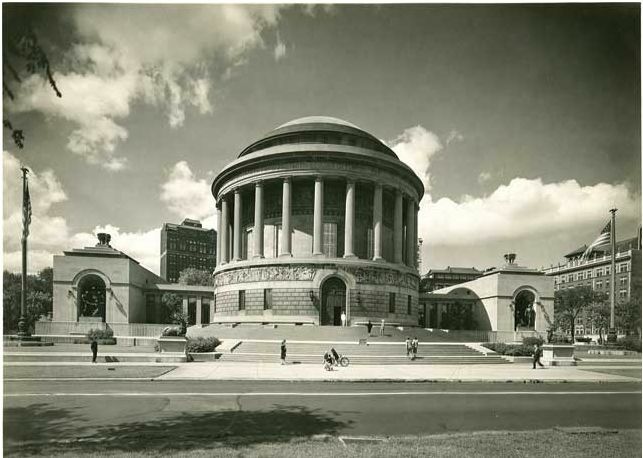 The Digital Research Library of Illinois History Journal™: Elks National Veterans Memorial, Chicago, Illinois. 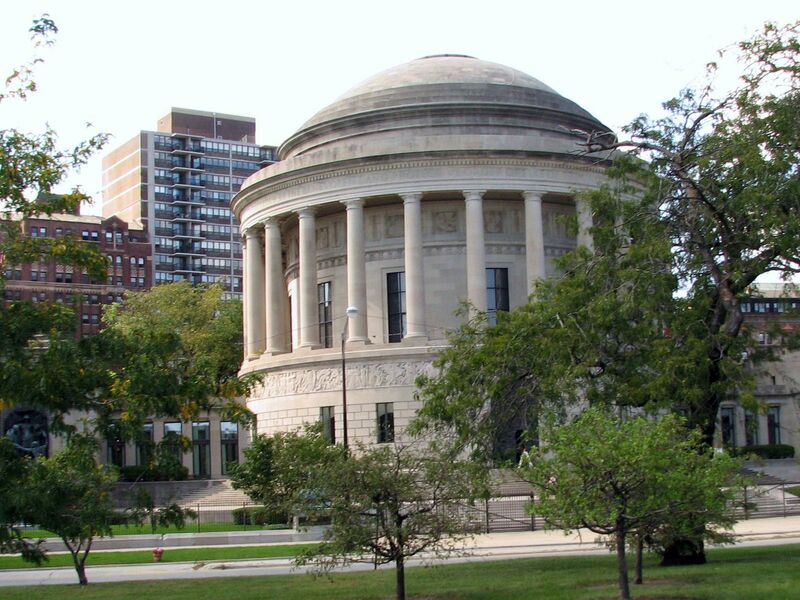 Elks National Veterans Memorial, Chicago, Illinois. 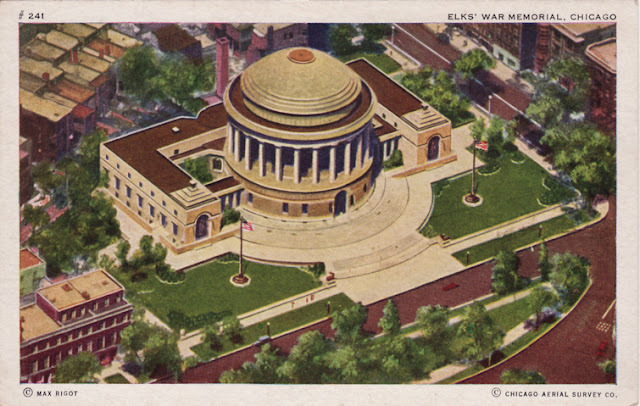 Elks National Veterans Memorial - 2750 North Lakeview Avenue, Chicago, at the intersection of Sheridan Road and Diversey Parkway in Chicago's Lincoln Park neighborhood. The Elks Veterans Memorial is a tribute to the bravery, loyalty and dedication of the thousands of Elks who have fought and died for our country. 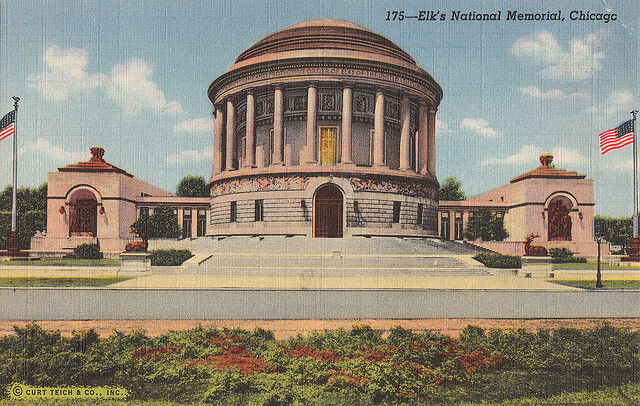 It has been described as one of the most magnificent war memorials in the world, but with its monumental architecture and priceless art, the Memorial is more a symbol of peace and of the patriotism of the members of the Elks fraternity. 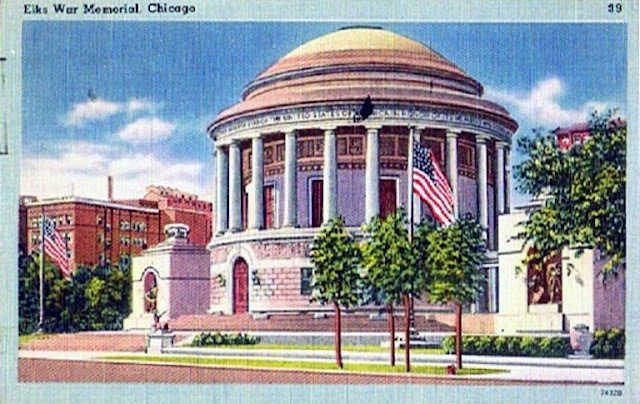 Construction of the Elks Veterans Memorial began in 1923, after the Order unanimously agreed on a spacious site for the building, looking out over Chicago's Lincoln Park and within a stone's throw of Lake Michigan. 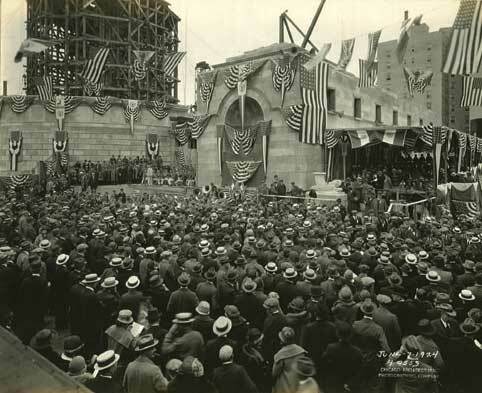 Workers laid the memorial's cornerstone on June 7, 1924 amid impressive ceremonies conducted by officers from the Grand Lodge. Two years later, on July 14, 1926, the Annual Convention of the Order was held in Chicago and the building was officially dedicated to the memory of the more than one thousand Elks lost in World War I in front of a massive crowd of Elks and their families that stretched across the street and into the park. A Chicago Landmark since October 1, 2003. The Neway Auto Wash Bowl, Chicago, Illinois. The History of Prairie du Rocher, Illinois. Lost Towns of Illinois - Half Day, Illinois. Future City, Illinois, the Town that Washed Away. Chicago’s National League Baseball Parks History. Lost Towns of Illinois - The Goshen Settlement. The Yanda Log Cabin, Glen Carbon, Illinois. The Mystery of the Waubansee Stone of Chicago. The History of Jewish Life in Chicago. Richard's Lunch Room, Libertyville, Illinois.